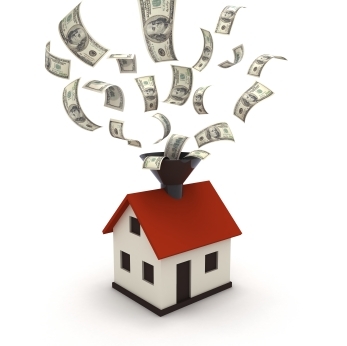 A home energy assessment is a great way to identify hundreds of dollars of potential savings in yearly utility costs. The trouble is, it will cost you several hundreds of dollars upfront, not to mention the cost of actually fixing sources of energy loss. The Home Energy Savings Program, a recent initiative by Pepco for Maryland homeowners, is making energy efficiency investments more affordable for local homeowners. The Pepco program, which was announced on Earth Day 2010 and began at the end of April, will be subsidizing home energy assessments that are offered by local companies. All Maryland Pepco homeowners can receive a comprehensive energy audit for just $100. Purchased before the Energy Savers Program, this same audit would run anywhere from $300 to $500 dollars. A home energy assessment, or audit, identifies sources of potential energy savings. All Pepco subsidized audits consist of a blower door test, infrared camera scan, and a discussion with the homeowners about behavioral patterns affecting energy use. This information is then synthesized into a report that prioritizes energy efficiency upgrades by their expected payback period. ecobeco and greenNEWit are two local companies offering $100 energy audits through Pepco. greenNEWit provides a 350 point inspection and includes many do-it-yourself options with instructions in their audit report. ecobeco offers customers a free second visit after air sealing work is performed to check for safety and performance. In addition to subsidizing the cost of the initial energy audit, Pepco is providing up to $1,200 in rebates for making energy efficiency upgrades. These incentives apply to most energy efficiency improvements, including HVAC equipment and servicing, compact fluorescent bulbs, and insulation. The Home Energy Savings Program represents a great opportunity for Maryland homeowners to save big when making energy efficiency improvements to their homes. Although the Pepco program is only available to Maryland homeowners, DC residents may qualify for a free energy audit from the DDOE.